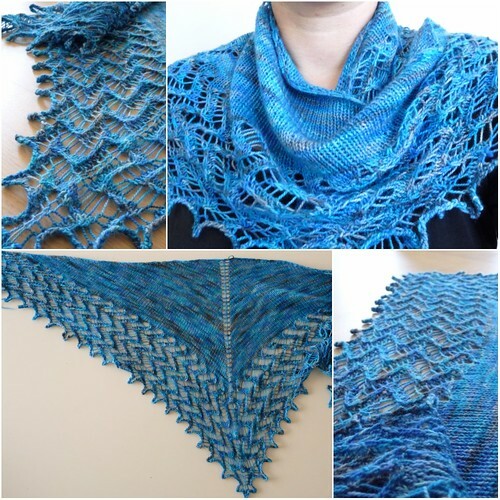 I finished last weeks Shawl... details can be found here. Hola. Me gusta el color y el patrón de su chal. Wow, your shawl is really beautiful! wow ... that is unbelievable. so intricate and beautiful! 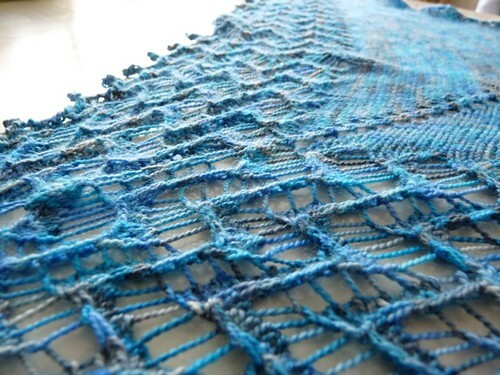 Such a beautiful shawl. Love both the pattern and the yarn colour. Oh it's gorgeous!!! I love this shawl!!! That edging is simply amazing!!! wow goregeous, i especially love that vibrant blue color! also, i've been following the photos you've put up on twitter and they are all so amazing. have a super relaxing weekend! !